A strawberry donut dipped in a cold glass of milk! 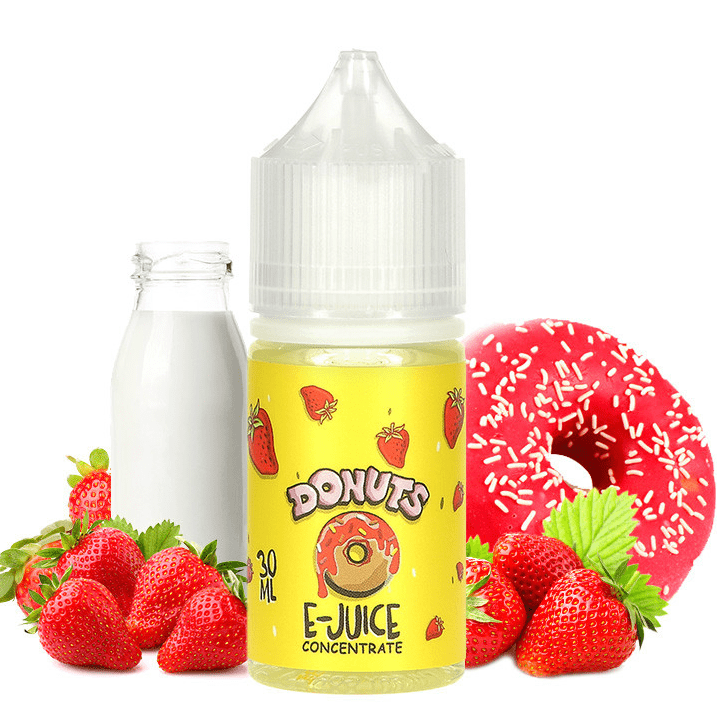 It will please you to know the flavor profile on Strawberry Donuts is amazingly accurate, as well! The strawberry jam flavor does not taste artificial, nor does the donut taste like generic pastry. A strawberry donut dipped in a cold glass of milk! It will please you to know the flavor profile on Strawberry Donuts is amazingly accurate, as well! The strawberry jam flavor does not taste artificial, nor does the donut taste like generic pastry. You get strawberry frosting and donuts dancing on your tongue when you inhale. On the way up, the vapor tastes like strawberry jam drenched in milk. Overall, Strawberry Donuts is a resounding 10 out of 10!